Does Your Faucet Need Repair? Faucets and sink fixtures tend to be items that a homeowner will forget about until they are no longer working properly. 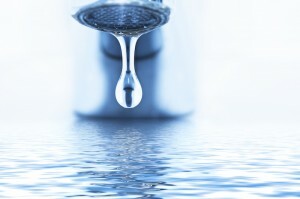 Unfortunately, even minor leak on an old faucet could be wasting hundreds of gallons of water every single year. This is why our plumbers think that all homeowners should know some signs that their faucet is damaged, when it is time to considering replacing these fixtures, and how to help their next faucets last even longer. When is it necessary to replace my faucet? Outside of purely aesthetic reasons, families should know when it is time to consider replacing the faucets throughout their home. One of the best times to replace a faucet is any time that major mechanical work is done in the bathroom or kitchen. Installing a new faucet when pipes are replaced or old tiles are removed and redone will ensure that the faucet will continue to work flawlessly. Owners may also want to consider changing their faucet if there are any signs of physical damage or certain components such as the handle are no longer functioning properly. What are some signs of damage? The two most common forms of damage on a faucet are rust and mineral deposits. Rust takes place when the finishing material on the faucet has becomes worn down and exposes the metal underneath. Mineral deposits can also become problematic depending on what kind of water is coming into a home. Those with particularly hard water may notice that the finishing material, metal, filters, gaskets, and flanges all become damaged quite often. Finally, owners want to keep an eye out for any drips or signs of water damage around the base of the faucet or underneath the sink. How Can I avoid my faucet from being broken in the future? 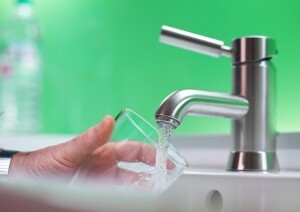 The easiest way to keep a faucet running smoothly is to have the plumber give them a quick check any time that they are in the home doing any other work. If a family does have hard water or water with a high content of sediment, they may want to invest in a water softener. These devices could help to increase the lifespan of all sink fixtures and appliances such as dish washers. Anyone that wants to keep their faucet running smoothly while avoiding harsh chemicals can clean away most rust and hard water spots with vinegar and lemon juice. Fix those unsightly fixtures and faucets to give your Annapolis area home a quick update. Don’t let that leaky faucet ruin your home and your wallet, call the experts of Heidler Plumbing at (410) 268-7191.